Soft drinks remain one of the most popular beverages in the United Kingdom. In fact, soft drinks represent 38% of total beverage sales in the UK in 2017. Moreover, this figure is expected to increase in 2018 [British Soft Drink Association]. That is why some soft drink manufacturers increase its production rate by automating the soft drink processes. However, these processes have complex operations that continue to extend for long periods of time. A computing device with the most compatible features must be used to function throughout the process. That is why one of the most recommended computing systems is the S17 panel PC with projected capacitance. This industrial-grade computer can provide better touch functionality. Its screen interface can accurately detect multiple touch points such as tapping or pinching gesture. Therefore, it will allow operators to utilise the device by tapping the on-screen icons easily. So, in what other ways can install ruggedised computers in beverage production factories help operators meet daily production quotas? Discover the advantages of using the industrial-grade projected capacitive touchscreen PC to monitor the automated soft drink production process. Many soft drink manufacturing companies introduce new products as a response to the growing need for soft drink beverages. However, monitoring these products throughout the production process requires an advanced computing system to maintain its quality and brand. This the main reason why rugged computers, such as the S17 industrial PC, are one of the most utilised devices in many industries including soft drink factories. In fact, this computing device is built with an Intel® Core™ i7-3610QM 2.30 GHz processor with Turbo Boost Technology. This feature maximises the processor’s turbo frequency of up to 3.30 GHz. Because of these features, the device will be able to monitor large quantities of soft drink products in quick succession accurately. Apart from this feature, take a look at how this device can be optimised in soft drink factories. A high level of market demand for soft drink products means that soft drink beverage manufacturing plants must meet the supply and demand chain. Therefore, upgrading its computing system is the key. Factory operators must use reliable PCs, such as the 17″ industrial computers to monitor the automated production systems. 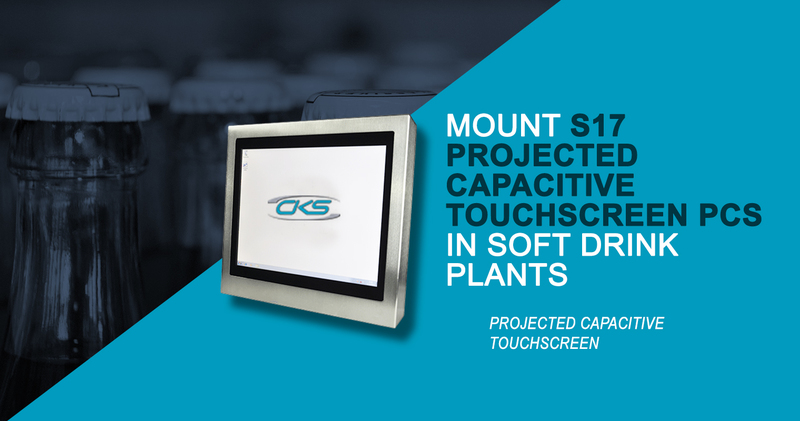 Here are some of the capabilities of S17 panel PC display in soft drink factories. Liquids are used in different soft drink manufacturing processes. As a result, touchscreen devices built with liquid resistant screens, such as the 17” industrial computer, is a great option to consider. Its projected capacitive screen interface accurately detects multiple touchpoints despite the on-screen moisture. Hence, it allows the operators to utilise the device even in environments where moisture is highly visible. The S17 industrial PC is built with high-quality stainless steel casing. So, it has non-reactive capabilities to any liquid chemicals or caustic cleaners present in the soft drink factory. This means that this device can still be fully functional even in a hygienic environment like soft drink operations. Soft drink factories use heavy machinery to produce vast quantities of beverage products. However, these machines need large and dedicated physical space. That is why the industrial-grade S17 touchscreen PC is also a VESA compliant. It supports both pedestal and wall mount bracket options. So, it is also space-saving. Soft drinks will always be one of the most sought-after beverage products in the UK today. Hence, there is no room for non-consideration of adopting technological advancements. Installing industrial computers is just amongst the most recommended computing solutions to upkeep its demands. So, talk to an industrial computer manufacturer today and learn how to accelerate soft drink productions by using S17 panel PCs.